ACC’s approach to Manufacturing Intelligence focuses on smart solutions that help our customers achieve their objectives by transforming manufacturing data into actionable knowledge to drive improved business results. We help our customer’s staff understand and use software tools and information in their daily jobs. Not only do we harness new tools and web-based technology to drive these solutions, Parsec’s TrakSYS framework helps ACC’s deliver projects successfully while focusing on our customer’s business goals. 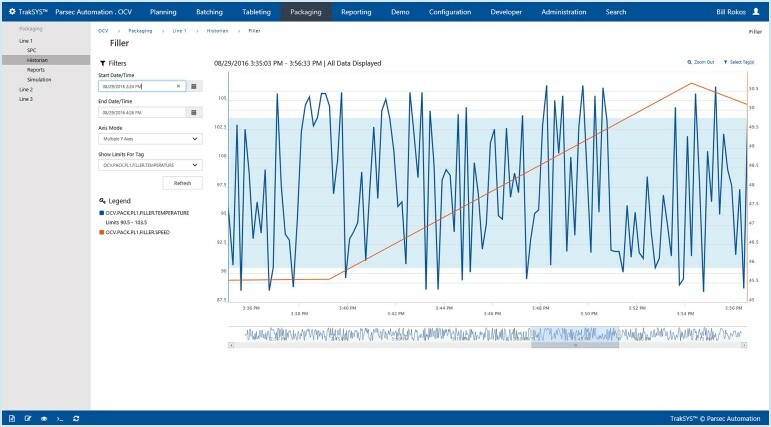 The pressure to increase quality and productivity, while reducing costs, has manufacturers seeking a deeper understanding of trends and patterns. TrakSYS aggregates data from multiple sources to deliver real-time, actionable intelligence for significant quality and productivity improvement – while leveraging existing assets, resources and infrastructure. Built to be quickly deployed with out-of-the-box functionality, TrakSYS comes with a comprehensive set of features that have been designed from the ground up to address manufacturers’ most pressing needs. 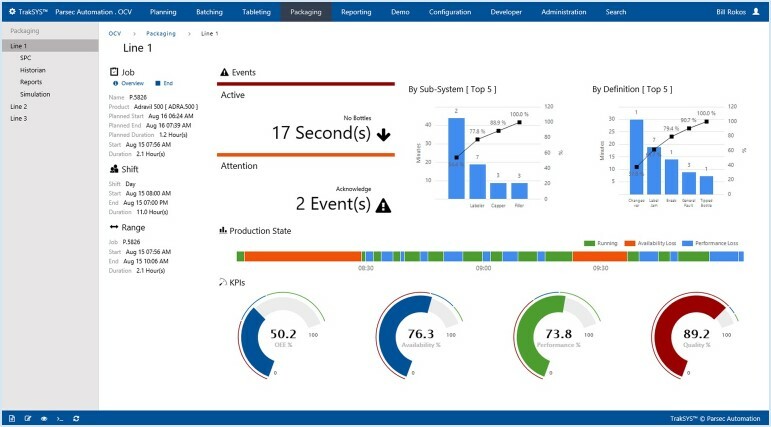 By activating a combination of the TrakSYS pre-built application frameworks, manufacturing managers can see more, know more, and do more. And extending TrakSYS is easy, with integrated, web-based configuration tools that eliminate the need for custom scripting for many types of solutions. TrakSYS is an integrated platform that can power multiple solutions. The modular nature of TrakSYS brings complete flexibility to deploy only the functions desired, without a software upgrade required. TrakSYS business solutions include OEE, SPC, e-records, maintenance, traceability, workflow, batch processing, sustainability, labor and more. 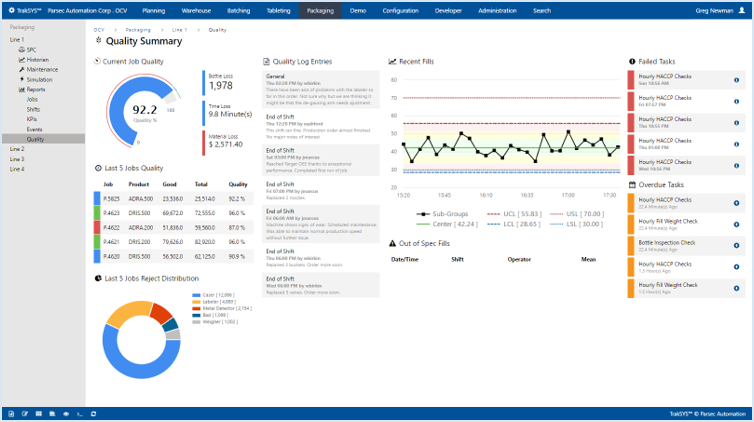 Parsec is the developer of TrakSYS, a leading real-time manufacturing operations management software platform. Manufacturing companies worldwide rely on Parsec for flexible and configurable software to manage and execute manufacturing operations across the value stream more effectively. Without production disruption, TrakSYS helps manufacturers to significantly improve asset utilization and efficiency, increase capacity with no new capital equipment, reduce production costs, decrease lead time, and improve profitability. With measureable ROI, TrakSYS delivers the bottom-line results that manufacturing companies are looking for. 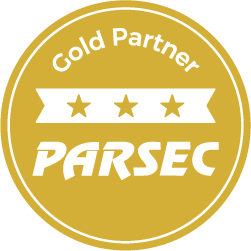 To learn more about Parsec and TrakSYS, please visit www.parsec-corp.com. © 2019 Automated Control Concepts, Inc. All rights reserved.